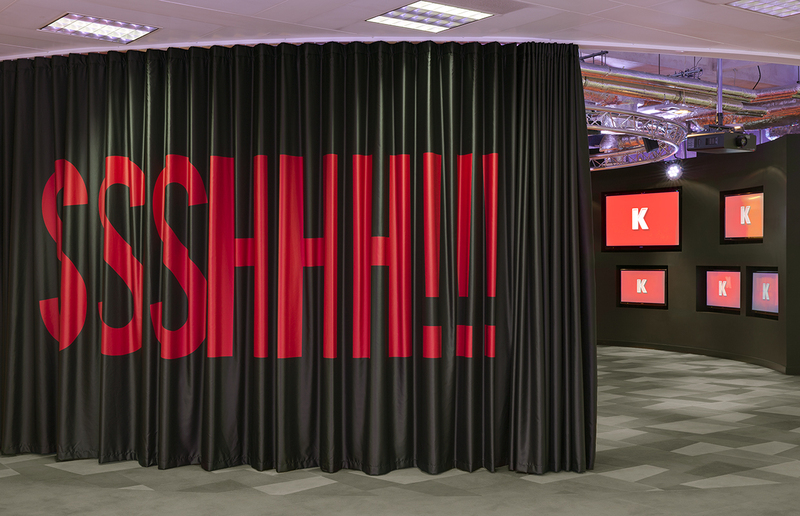 Leading creative advertising agency Karmarama asked us to help them to bring some fun ideas to life in their offices in Farringdon. 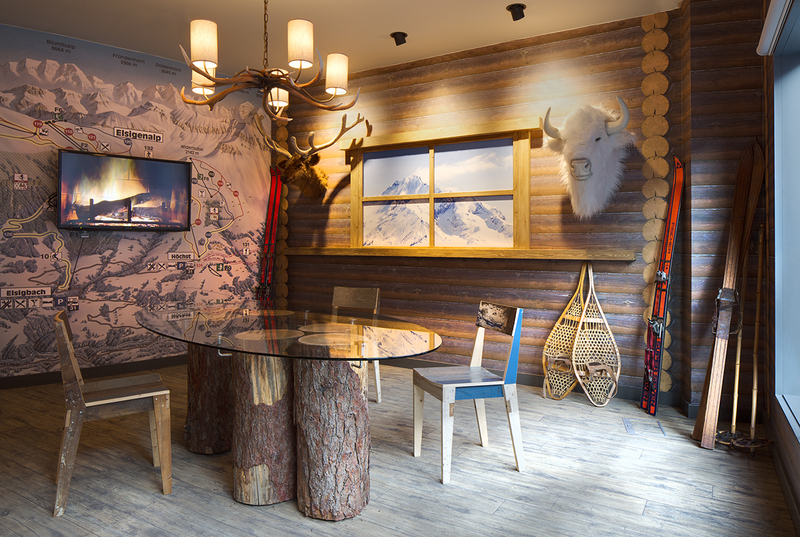 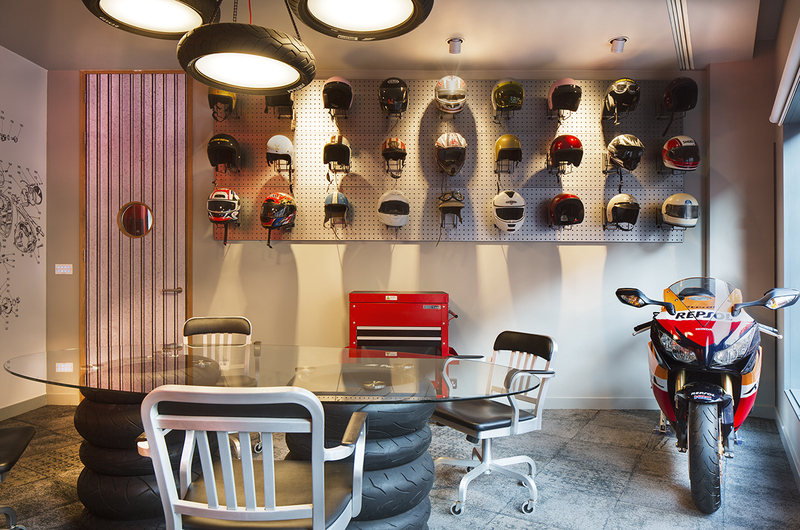 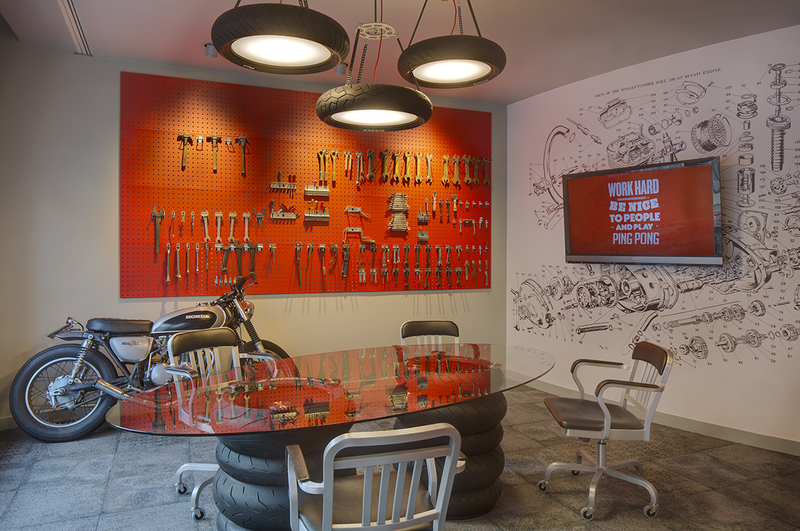 Here, a motorbike workshop and a ski lodge become meeting rooms, with a helmet display wall using Spaceway industrial panels and custom-built furniture made by En Masse including tables made from real tyres and logs. 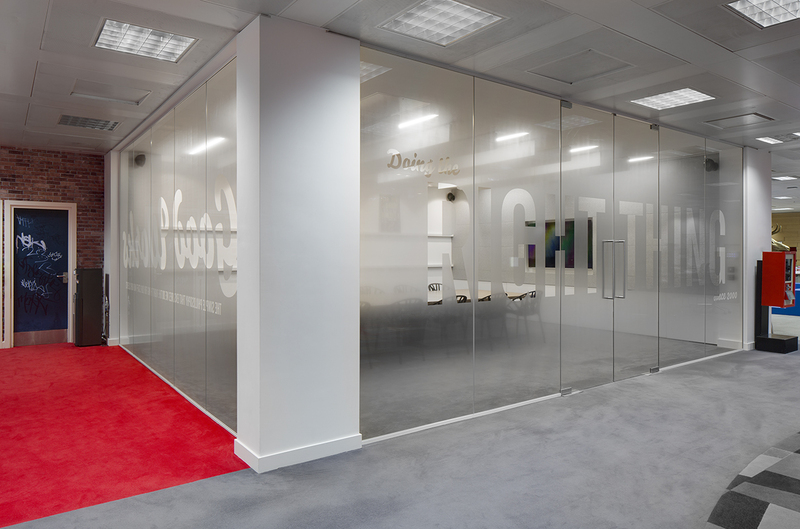 The rooms are clad with full colour wall graphics by The Graphical Tree and have feature “wood” and “concrete” carpets by Forbo and Milliken. 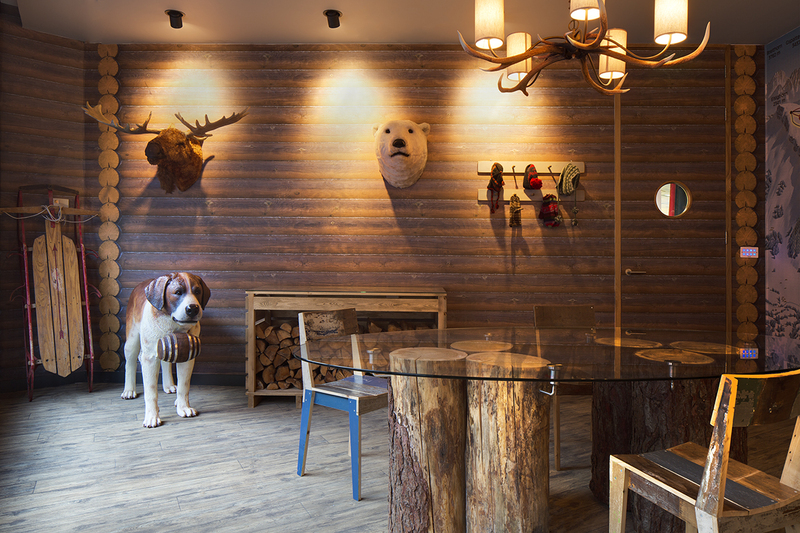 Emeco Navy and Piet Hein Eek Scrapwood chairs complete the atmosphere in these unusual rooms. 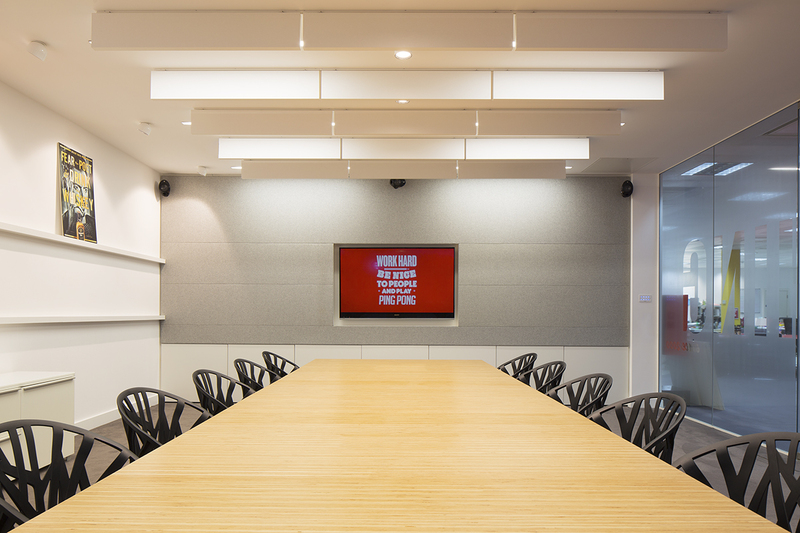 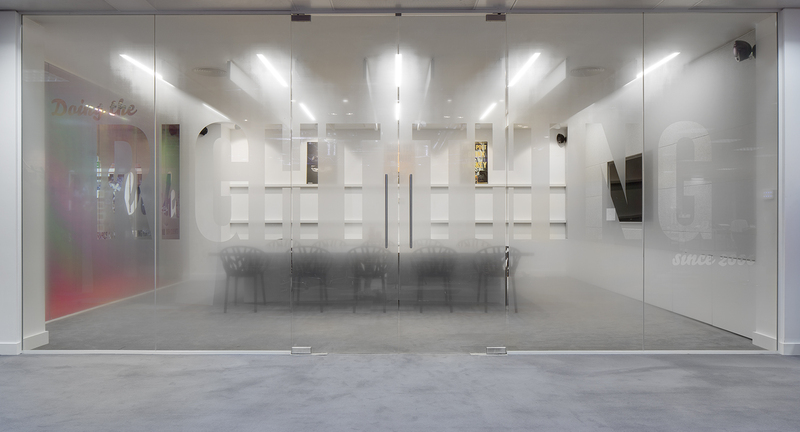 The boardroom has acoustic Camira fabric cladding and a beautiful bespoke edge-ply table made for us by SVL‘s own facility in Germany and Oval Workshop in London. 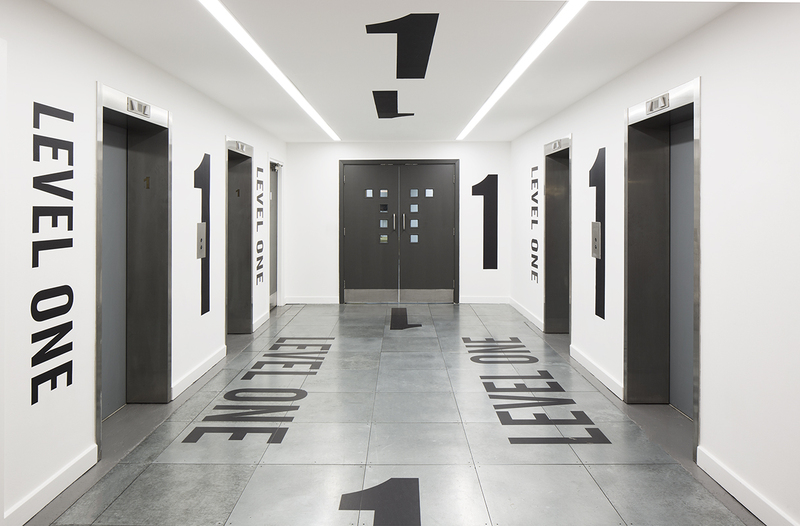 Large-scale text also features around the agency, defining spaces such as the lift lobby and the curtain that defines the central meeting area.